BH3 is a health researcher with connections to the World's most cutting edge scientists and doctors. He turns their genius into easy to understand and actionable information anyone can use. Bobby Hunt III (BH3) is ultimately a networker, researcher and a story teller. He takes complicated but important and cutting edge information and dumbs it down to a point where any average person (like him) can understand and more importantly take action on the information all while wrapping it into a neat story along the way. 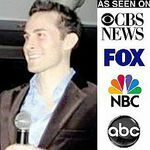 In the past, he has researched and written a book in the precious metals niche that after five years, continues to be a best seller in its category on Amazon so he knows what it takes to captivate and persuade a targeted audience and create a book with legs that will sell for years and not be just some flash in the pan. He sensed that there has to be something more to good health than just diet and exercise and started looking for an answer. After studying history of disease and tech development, bio-physics and talking with some of the most important people on the outer boundaries of today's health research, he found the answer. For the Blue Light Diet, Bobby Hunt III has made connections with the World's foremost and cutting experts in health and light. Neurosurgeons, physicists, doctors, laser light, circadian rhythm and photobiomodulation specialists. He translates their genius into easy to understand, actionable information. Success! 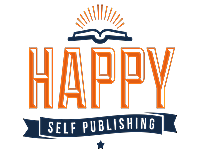 The Blue Light Diet sold 106 pre-orders by Sept. 15, 2018, was pitched to 77 publishers, and will be self published. IMPORTANT: You will get immediate access to The Blue Light Detox program on August 31st, 2018!!!! The book will be out in early December of 2018 which makes it the perfect present for Christmas or the holidays. $297 MAJOR SUPPORT THANK YOU! *Lifetime membership to The Blue Light Detox Program for you and up to 75 members of your group. *Up to 75 copies of the paperback (can also be donated on your behalf). *I'll come speak in front of your group/event OR I'll come to your home for a day to help you really kick start your light diet and optimize your house with healthy light. *You'll also get lifetime memberships to the Blue Light Detox program for the members of your group, family or even to give away as bonuses at your event. (Up to 100 memberships). *Is 100 too many books? You can choose to donate any amount of books you think you will not be able to use. I live in San Juan, Puerto Rico for the winters. Just make a killing in Bitcoin? Have some inherited Carnegie family funny money lying around? Or are you just making the mistake of surfing the internet late at night with an open bottle of wine? Invest 10k to fund the marketing and book launch of the Blue Light Diet and receive pretty much any combination of the above bonuses you want and of course, I'll personally help you make sure you've got the right light in your life. Message me using the message button in the upper left corner of this page and we'll come to an agreement on whats included in your package of bonuses. Up to 250 books included. ***PREORDER CAMPAIGN INFO***: This contest and preorder campaign runs from August 15 to September 14. 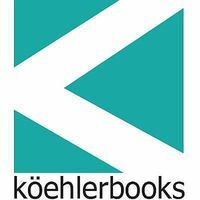 The book with the most preorder sales wins and gets to meet major publishers. So please order as many books as you can. The book will be released in time for the holidays/Christmas of 2018 (A perfect present!). BUT you will get access to your BONUSES and start learning everything you need to know about blue light in August of 2018. Today, the vast majority of health information available to you is about the food you are eating or the exercise you're doing on a daily basis. But even with all this information, people seem to be getting sicker and fatter. So what if the health and medical establishment is missing something key in their health advice to you? Their list of bad advice is long. The Blue Light Diet takes cutting edge science that hasn't yet filtered down to the medical establishment and proves that the light you live under daily may be the biggest threat to your health and making the good steps you're taking in diet and exercise ineffective. 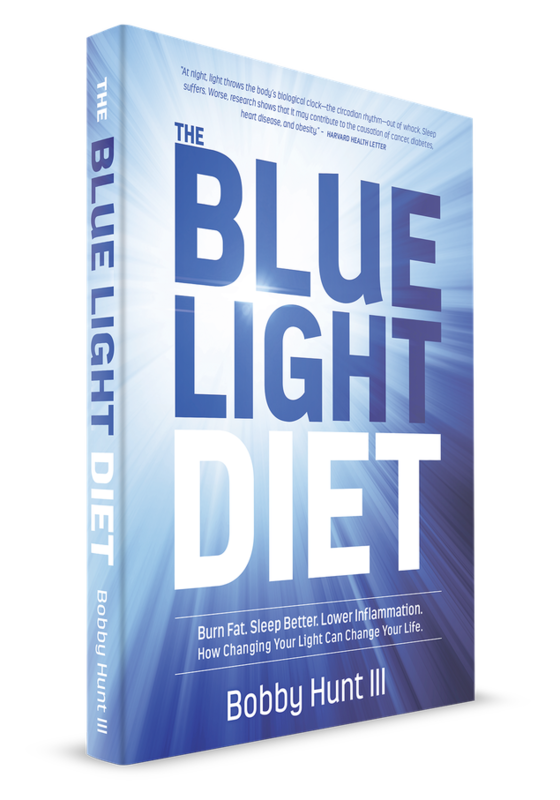 The Blue Light Diet will show you that if you change your light you can change your life. Just like you need a healthy diet of food, you need a healthy diet of light. Yet you probably don't think twice about the light you are "eating" every day. The wrong light at the wrong time can cause cancer. The right light at the right time can boost your immune system, produce vitamin D, optimize your hormones, charge your mitochondria, boost your immune system and heal wounds. All of these light strategies are science backed and almost "set it and forget it" easy to implement into your life. Much easier to stick to than any diet or exercise program. Many of the strategies you will learn are as easy as changing a light bulb or flicking a switch at a certain time. This is the world's first diet of light. Use it to change your health today. PART ONE: Written to give the reader the biggest health "Aha!" they've ever had. In chapter one you learn all the different kinds of lights the average person is exposed to on a daily basis. In chapter two, you'll learn how nature designed your body to work under certain kinds of lights at certain times and you'll see just how much your average "light diet" differs from the light diet nature says you should have. In chapter three you'll discover how and why the light you are living under every day is bad for your health. How it can hurt you. In chapter six, you'll learn the actual components or ingredients to the blue light diet. The light you need on a daily basis for good health. PART TWO: Showing the reader why and how, in easy to understand and implement language, how to use light to improve their life in each category listed below. Learn how to use light for better energy. Learn how to use light for better sleep. Learn how to use light to lose weight. Learn how to use light to prevent and fight cancer. PART THREE: A deeper dive into light. Go a little deeper into the science of how light works and what it is made of. Blue light can be good or bad for you. You'll learn all you need to know in this chapter. Learn how red light betters health and charges mitochondria and how to use it correctly. Learn how to optimize your indoor and outdoor lights for better health. Learn how to still use modern technology but in a healthy way by blocking, filtering or switching out the harmful blue light. One of the worst doses of bad light you get is at work. Here's how to counter it. Vitamin D levels in the USA are at historic lows. Learn how to make sure you are generating as much as you can. This chapter goes over the biophysics of food and light. You'll learn how you can be healthier by "matching" the kind of food you eat with the light you are living under. You'll also learn the kinds of foods to eat that will help your body process the light it receives more efficiently. The primary audience at first will probably be the health and wellness, diet and exercise crowd eager for the next new thing. If you are a publisher in this category, you know all the market statistics and data so Im not going to waste time digging that stuff up. The new trends in this niche are whole food diets, keto, intermittent fasting, circadian rhythm and mitochondria health etc...Everyone is looking for a new way to be healthy. A new way different from the typical medical establishment rah rah nonsense of diet and exercise. So the health trends are just starting to include these new ways. And probably the most important new way and new trend will be light. You're seeing a few articles on "blue light" start to pop up here or there. Harvard writes about it. Its recognized now by the AMA. There is legitimate scientific support behind the dangers of blue light to your health. But no one yet really understands the power and implication of light and how you have to treat it just like you do your diet. No one understands it is way more than just "blue light". Thats why The Blue Light Diet timing is perfect. There is nothing else like this out there. This is the world's first diet of light. Much of the new research starting to filter down to doctors and medical journals today is on circadian rhythm and mitochondria. These are the topics of news stories of the future which means lots of free press because the Blue Light Diet specifically works on your circadian rhythm and mitochondria. If you want to fix those, you really have to fix your light first before anything else. This preorder campaign was a last minute thing. I know I should have properly prepared by building a larger following first. Current email list size and social media following is small, probably about 275 people in total. The marketing foundations are set up though. There is a lead capture page on my website as well as twitter and facebook pages for the book. I am just starting to schedule paid "meetup" talks in Chicago to teach people about light and build my lists. I also have an online video training program called "The Blue Light Detox" which I will start selling before the book launch (probably within the next month). This should build my list further with proven buyers that are interested in what I have to sell. I do have connections with many health and wellness leaders and podcasters that I have yet to take advantage of. So I have a podcast strategy I'm going to be launching around the time The Blue Light Detox program launches. I also have previous experience doing a book launch in another totally different niche. I did the launch and marketing all myself. That book continues to stay at and sell at the tops of its category. As for a blue light diet book marketing plan, I plan on coordinating book launch with the publisher. I'd be pitching podcasts for interviews prior to launch as well as pumping out blog articles and even short video blogs. I could also do Facebook Live sessions or even webinars through a built in system on my website. Of course I would do some kind of paid marketing like facebook ads to promote all of this. ONE: This book really has no competition. It is blue ocean. Description: Beginning with an in-depth explanation of the circadian clock—why it’s important, how it works, and how to know it isn’t working—The Circadian Code outlines lifestyle changes to make to get back on track. It's a concrete plan to enhance weight loss, improve sleep, optimize exercise, and manage technology so that it doesn’t interfere with your body’s natural rhythm. Dr. Panda’s life changing methods show you how to prevent and reverse ailments like diabetes, cancer, and dementia, as well as microbiome conditions like acid reflux, heartburn, and irritable bowel disease. DIFFERENCE: Circadian rhythm is just one aspect of the blue light diet and one way light effects you. this would basically be a chapter in my book because light does/is so much more. DESCRIPTION: Asprey’s easy to follow, two-week program offers a detailed plan to supercharge brain performance, including: which foods to eat and which ones to avoid, how to incorporate the right kinds of physical activity into your day, a detox protocol for your home and body; meditation and breathing for performance, recommended brain-boosting supplements; and how to adjust the lighting in your home and work space to give your brain the quality light it thrives on. DIFFERENCE: This book just has a chapter on light and how it effects your brain. My book is much more in depth and actually goes in to how light effects many different body systems and gives you a step by step "diet" of light. DESCRIPTION: In this groundbreaking guide, the first of its kind, New York Times best-selling author and leading natural-health practitioner Joseph Mercola explains how nearly all disease is caused by defective metabolic processes. Then he reveals what’s really causing your metabolism to go haywire: damage and dysfunction in the mitochondria, thousands of which are at work in nearly every cell in your body, generating 90 percent of the energy you need to stay alive and well. When mitochondria become damaged in large numbers, it is impossible to stay healthy. DIFFERENCE: Again, in this book mercola touches on light but mostly concentrates on food. My book is all about light with one chapter on food. Have you ever seen the movie called “The Matrix” with Keanu Reeves and Laurence Fishburne? There is a famous scene from that movie, google the “red pill scene”, where Fishburne’s character is asking Keanu’s character if he wants to know what the “Matrix” is. Fishburne says the matrix is the “world pulled over your eyes to blind you from the truth”. Fishburne then offers Keanu a blue pill or a red pill. The blue pill will return Keanu to his previous unknowing but blissful state. The red pill will show him the truth and just how deep the rabbit hole goes. The city of big shoulders. The windy city. The second city. These are all great nicknames but there is one nickname that’s burnt into my mind. Chicago is sometime referred to as The White City. You may have even read Erik Larson’s fantastic book “The Devil in the White City: A Saga of Magic and Murder at the Fair that Changed America”. The white city refers to a magnificent cluster of white, neoclassical buildings built on Chicago’s lakefront for the Chicago World Fair of 1893, also known as the World’s Columbian Exposition. You can still see one of the original, Daniel Burnham designed white city buildings today. It exists as Chicago’s Museum of Science and Industry. The “devil” in the book was a doctor and serial killer known as “H.H. Holmes” who used the fair to lure victims to his lair a few blocks away. H.H. Holmes was eventually discovered and caught.But what I am telling you now is that the real devil in the white city was never caught and still affects you and almost everyone else on the planet today. In fact, the devil is doing even worse things to people today than he did in 1893. At the same time Dr. Holmes was hunting for victims on the fairgrounds, George Westinghouse and Nicolas Tesla, representing the Westinghouse Electric Company, had recently outbid J.P. Morgan and Thomas Edison, representing General Electric Company, for the contract to fill up the night sky of the Chicago World’s fair with electric light. The grand boulevards of the great white city were lit up at night like nothing else the world had ever witnessed. From that moment on, a new devilish serial killer emerged that continues to stalk your good health to this day. By reading this book, you are going to learn how to deal with this devil once and for all. If you haven’t figured it out yet, the devil in the white city who escaped and has terrorized humanity ever since is artificial light. Think about how much artificial or man made light is in your life on a daily basis.The wrong kind of artificial light or artificial light at the wrong time can be very unhealthy for you. By reading this book, you’re going to learn how to use light to protect yourself from all of those nasty health issues above and more. Now, after all of this blabbering you are probably still thinking well why is this book called The Blue Light Diet? Think about how you find sugar in nature. There are no sugar trees that grow bags full of the white granular powdered sugar. At one time in my life I would have loved this, especially if there was a tree that grew powdered jelly donuts. When you find sugar in nature, it comes in a package, right? Think of how sugar (fructose) is delivered in an apple. An apple is full of other compounds besides just fructose. Minerals, vitamins, fiber and probably compounds we haven’t even discovered yet.All of these work together and balance each other out so that if you eat the whole fruit, you can actually lower your risk of a disease like diabetes by 28% whereas if you just drank the fruit’s juice which contains mostly fructose, you will increase your risk of diabetes by 8%. Now with this in mind, I want you to realize that light is basically the same. Just like the apple, nature has delivered light in a perfectly balanced package of different colors for billions of years in the form of full spectrum sunlight. Each one of these colors has different biological effects on you and the rest of life. Life had evolved under this balanced package of full spectrum light for its entire existence up until Edison and Tesla started experimenting with artificial light just over 100 years ago. For instance, in sunshine, you will never find blue light without a good amount of red light. The blue light is stimulatory to your biology and the red light is regenerative. In today’s modern and mostly indoor world, the artificial light that you are living under is unbalanced, partial spectrum light. The Iphones, energy efficient LEDs lights, computer screens, car headlights, flat screen tv’s, school and fitness club flourescent bulbs and CFLs in office and hospital environments are all emitting light with lots of stimulatory blue light and little to no regenerative red light. Living under this artificial light is the nutritional equivalent to eating a bag of sugar instead of the whole apple. But even worse, you are overloaded with bad light. A glass of apple juice every once in awhile is probably not going to hurt anyone. Drink a gallon of apple juice every day and you’re going to have major problems. Now think about the light you’re living under on a daily basis. I’d bet all the money I make from this book that the vast majority of it is artificial and it is overloaded with the stimulatory blue spectrum of light and very seriously lacking in the regenerative red spectrum of light. In light diet terms, this is the equivalent to drinking a gallon of apple juice every day. It can derail your health even if you have your diet and exercise completely nailed down. In this book you’re going to discover how so many of the major diseases today can be traced back to artificial light. Unbalanced blue light and artificial light in general is the real devil in the white city. A serial killer that has been stalking all of mankind since 1893. I know it sounds crazy, but light is nutrition. It is just as powerful to your health and biology as the food you eat, if not more powerful. So you now have two choices. You can take the blue pill, put this book down, and continue living under artificial lights on a daily basis. Checking your Iphone before bed, getting a huge dose of blue light at night and wondering why you can’t sleep so well. Wondering why your neighbor got breast cancer. Wondering why your father got prostate cancer and your kid is fat. Or, if you’re one of my smart readers, you can be like Neo in The Matrix movie and take the red pill and read this book. If you do that, you will see with your own eyes that without a doubt, if you change your light, you can change your life and the lives of those you care about. And in many instances, it is “set it and forget it” easy to do. Getting the good healthy light into your life and the bad light out of it is much easier than hitting the gym on a weekly basis or holding your nose while you chug down that veggie juice and protein shake every day. To get started, you can take our free blue light toxicity test and find out just how blue light toxic you are. Just go to www.bluelightdiet.com now to take your test before you read this book. I wouldn’t wait any longer though. If you care about your health, you must start thinking of light as nutrition. Just as you need a good diet of food to stay healthy, you need a good diet of light to remain healthy or regain your health. So take the red pill and at least read the first four chapters of The Blue Light Diet. If you don’t get one of the biggest health “Aha’s” you’ve ever gotten, then you don’t have to read this book any more. Tweet at me and make me feel shame. Return it. I don’t want your money if you are not getting a ton of value and more importantly, a healthy life for you and your family in return. But I bet the Blue Light Diet is going to be your diet of light. on Aug. 16, 2018, 2:21 a.m.
on Aug. 18, 2018, 6:04 p.m.
on Aug. 21, 2018, 1:54 p.m.
on Sept. 14, 2018, 3:07 p.m.
on Sept. 15, 2018, 2:05 a.m.